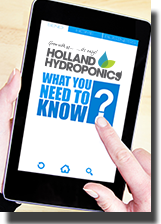 Humic and Fulvic Acids are complex components, and this organic matter can be found in rich, fertile soil. Over time, these components will be depleted, so it is highly beneficial to add both humic and fulvic acids to soil. VitaLink Fulvic is a pure fulvic acid product that should be added to your plants feeding schedule throughout the vegetative growth and right through until the penultimate week of flowering. Humic Blast from Aptus is an organic soil conditioner. Aptus Fulvic Blast is a complete micro-elements booster which contains high concentrations of fulvic acid that acts as a natural chelator, this improves the absorption of micro-elements via your plants root system to help improve their overall health and to help boost the final harvest. Boost from Plant Magic Plus is a powerful bio-stimulant. Looking for a fulvic acid kick try PlantLife Royal Gold. Royal Black helps to transport nutrients and vitamins more efficiently. Greenmyst Humic is 100% organic. Diamond Nectar is a growth stimulator.